The coastal resort of Morecambe lies on the coast of Morecambe Bay, just to the south of the Lake District National Park, the largest expanse of intertidal mudflats and sand in Britain, covering a total area of 310 km square. 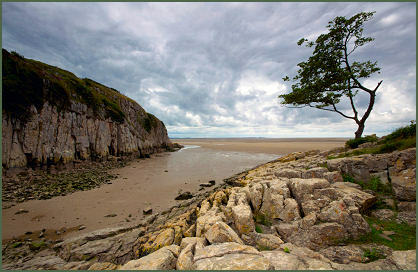 Morecambe Bay is amongst the most important wildlife locations in Britain, boasting miles of sandy beaches and is famous for its incredibly fast moving tides and treacherous quicksands. 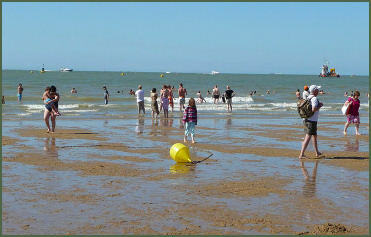 Guided Cross Bay Walks are available with the Queen’s guide, Cedric Robinson MBE. The town of Morecambe developed in the late nineteenth and the early part of the twentieth centuries as a popular seaside resort, when the three villages of Bare, Poulton and Torrisholme merged. The town has a five-mile long stretch of seafront promenade with stunning views stretching across the bay to the Lakeland fells, a multiplex Cinema and ten-pin bowling alley are within close proximity of the promenade. The Stone Jetty, the contemporary seaside pier, is the crowning glory of Tern Project, which took its inspiration from the Bay's wildlife. It has become a place of fun and artistic beauty, boasting seabird themed pavement games, tongue-twisters and striking public artwork. The Jetty is also the perfect place to witness stunning silhouettes of the Lakeland Hills, which provide the backdrop to the glorious sunsets for which Morecambe is famous. The sandy beach at Morecambe, a winner of the Quality Coast Award, is cleaned regularly and has a lifeguard, deckchair hire, first aid and toilet facilities. The Victoria Pavilion, one of the town's most famous landmarks, is popularly known as Morecambe Winter Gardens. This was once a venue for swimming baths, a grand theatre, a restaurant and a ballroom, and even became a training camp at various times in its life. The town is the birthplace of Eric Morecambe, (originally Eric Bartholomew, who took his stage name from the town in which he grew up) of the comedy duo Morecambe and Wise, and of Dame Thora Hird. 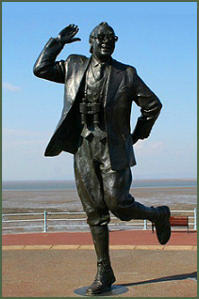 A bronze statue commemorating Eric Morecambe stands on the seafront, created by sculptor Graham Ibbeson, it was unveiled by the Queen in 1999. The famous Art Deco style Midland Hotel, originally built in 1933 and still containing interior design and art pieces by artist Eric Gill, has undergone a multi-million pound renovation, and welcomes hundreds of thousands of visitors. Its penthouse suites and beautiful glass-fronted restaurant and sun terrace enjoy the best views in the town. Across the road stands the Festival Market, which features a new 'Poem Path' with sayings, poems and literary extracts about the environment and bird life of the Bay. A traditional covered market with 108 stalls and shops including 2 cafés, there is a wide choice of goods available. Happy Mount Park originally created in 1920, has Woodland walks, a Japanese Garden, putting and bowling, a children’s Splashpark and play areas, miniature railway, crazy golf, swing boats, crown green bowling, café and picnic areas. The resort has two large live music venues, the Platform and the Hothouse. 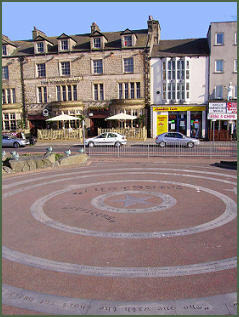 The Platform is a converted Victorian-styled building which also houses the Morecambe Tourist Information Centre. Just to the south of the town lies the pretty village of Heysham, which features the ruined Anglo-Saxon Chapel of St Patrick which perches dramatically on a headland above St Peter's Church. Whalley Abbey- founded by Henry de Lacy, third Earl of Lincoln on the 4th April 1296.